Surround yourself with beauty and drink the best wine you can afford! I love my laundry rack. It makes me want to do laundry. It is so beautiful to look at and yet holds an entire large load so it saves me money every time I use it. 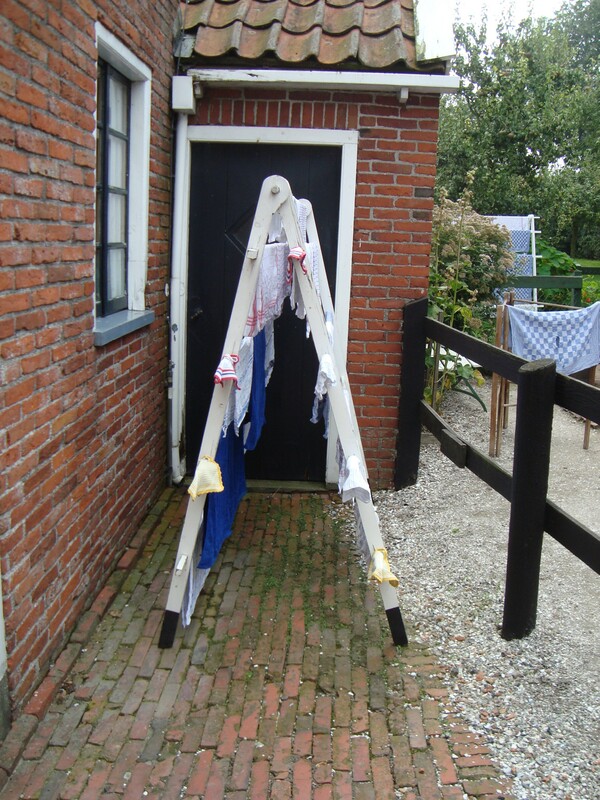 For years I wanted to hang my laundry outside but I really hated the ugly laundry racks that were available. When my wife Dita and I went to the Netherlands in 2011 we visited the Zuiderzee Museum in Enkhuizen. This museum is a recreation of an old seaside village. There, among other artifacts, I spotted this beautiful old laundry rack. 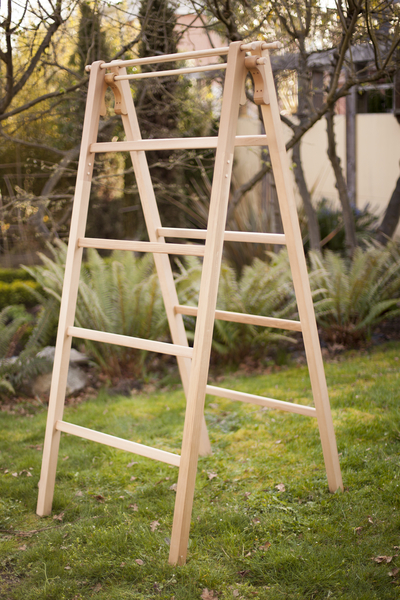 When we got home Dita began to design and she built me a laundry rack drawing on some of the same design details but with a very west coast look. 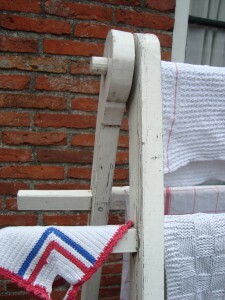 Dita is a designer/builder who was born in Amsterdam but moved to Vancouver when she was six. 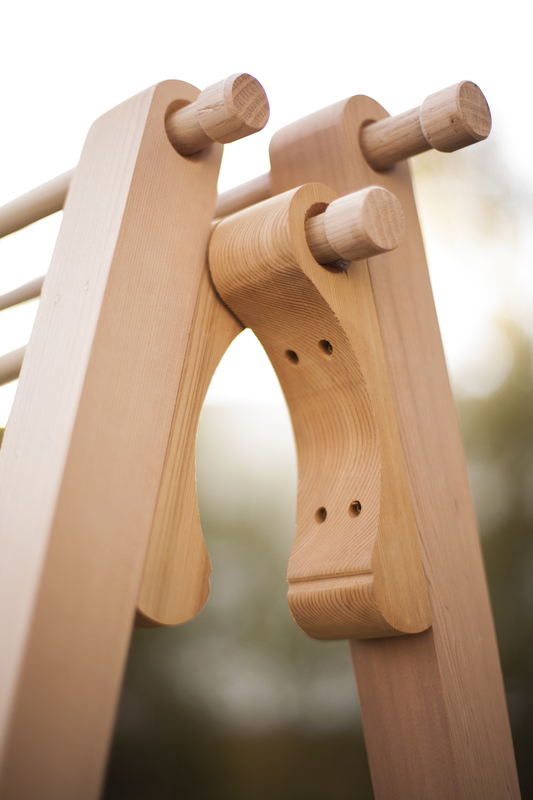 Our laundry rack is made of cedar, not a wood commonly found in Europe. But she uses oak dowels for strength and contrast. It is unfinished while the Dutch rack is painted. And it is taller and narrower, an elegant look favored by Dita. But it is very Dutch! I love the combination of form and function in Dutch art. The Zuiderzee Museum exists on one hand, to represent or recreate a way of life now gone. But throughout the village they display modern art and commentary to take you into the realm of abstraction. When we were there in 2011 they had a show called From craftsmanship to abstraction design route. Throughout the museum they would juxtapose modern art interpretations of traditional materials next to artifacts. Or they would present artifacts in such a way to be seen as art. A fascinating way to view history and a way of making Abstract Art feel more accessible. 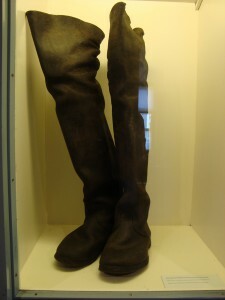 Just recently they installed a very interesting permanent exhibition called Monument by the British artist Clare Twomey. This piece is made up of hundreds of shards of household crockery and antique ceramic tiles cascading in a monumental way. 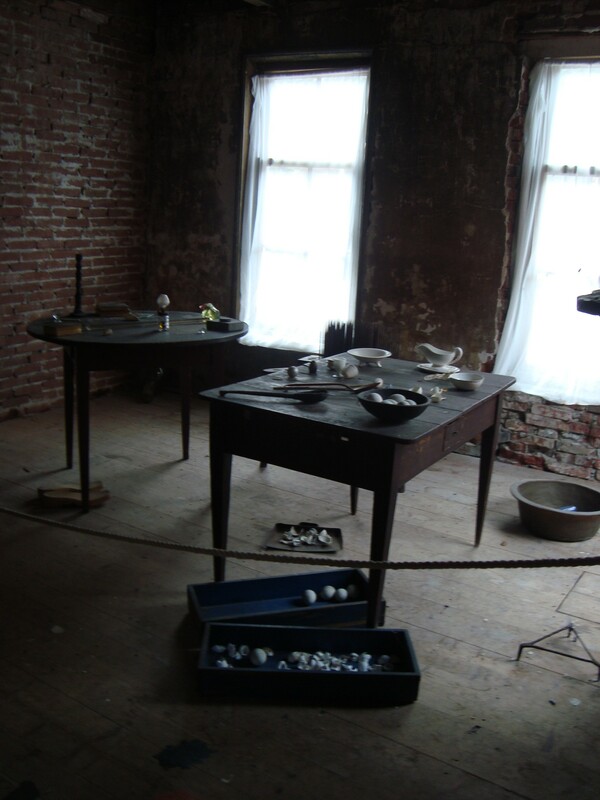 Broken crockery seems to contradict the purpose of a museum which is to preserve artifacts for future generations. This work plays with the idea that everyday items can be elevated to museum status. But it is also a comment on our over consumption of consumer goods. The tiles come from the sizable tile collection of the Zuiderzee museum, the “D” collection rejected and yet now put to good use as Art! “Life is difficult for you and for me. My canvases are places where the sadness in you and the sadness in me can meet. That way, we have a little less grief to deal with“. 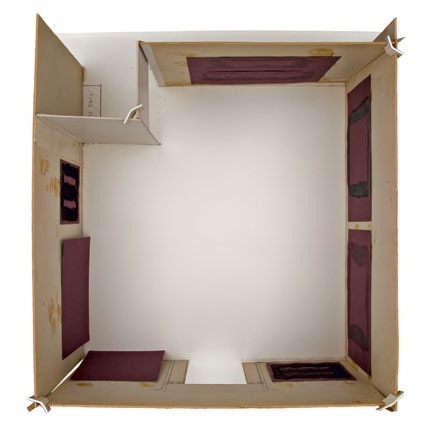 To this end, Rothko donated nine of his paintings to the Tate Museum to be permanently displayed in such a way to allow this emotional connection between artist, art and viewer. This fact is made more interesting by the history of these paintings which were originally commissioned by the Seagram Company to be displayed in the Four Seasons Restaurant in their newly built modernist building in Manhattan. 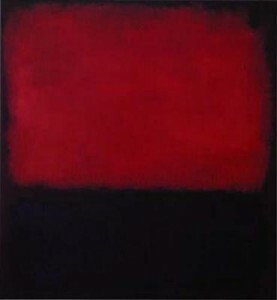 In a famous move Rothko rejected the commission, (worth about two million in today’s currency), because he felt that the true meaning and value of his work would be lost in that world. To Rothko, finishing a painting was just the beginning of the artistic process. What happened after, how the painting was viewed, was crucial. 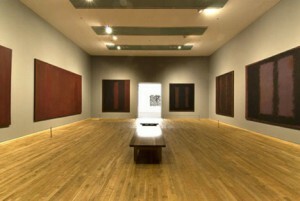 As such Rothko was extremely fussy and controlling about how his paintings were hung. Low to the floor, close together and in a space that was dimly lit was his preference. 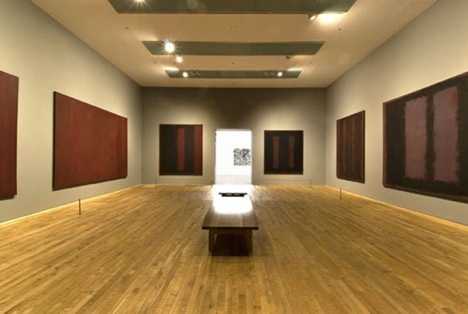 The Seagram Paintings are large, (he called them murals), and he wanted to bring the viewer into the interior of the painting in order to connect with its subject which, to Rothko, was the elemental emotions of the human experience. 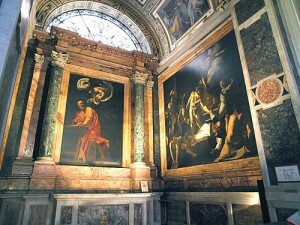 Caravaggio is one of my favorite artists. I have seen his paintings in books and in Art Galleries. His work is so powerful I always find it striking, even in photographs. Nothing can compare, however, to the experience of seeing his work in the French church, San Luigi des Francesi in Rome. The Church is dimly lit and the paintings are in the very back. They are clothed in darkness until you put a euro in the coin box and then a light comes on illuminating the trio. They are all about the life of St. Matthew but The Calling of St. Matthew is my favorite. The church never seems to be crowded and I always feel I can stand there forever. Some argue that the lighting in the Church is too dim to truly appreciate the brushstrokes and details of these paintings but I love the feeling of the place. The story is of Levi the tax collector who is summoned by Christ and leaves everything behind to follow him. 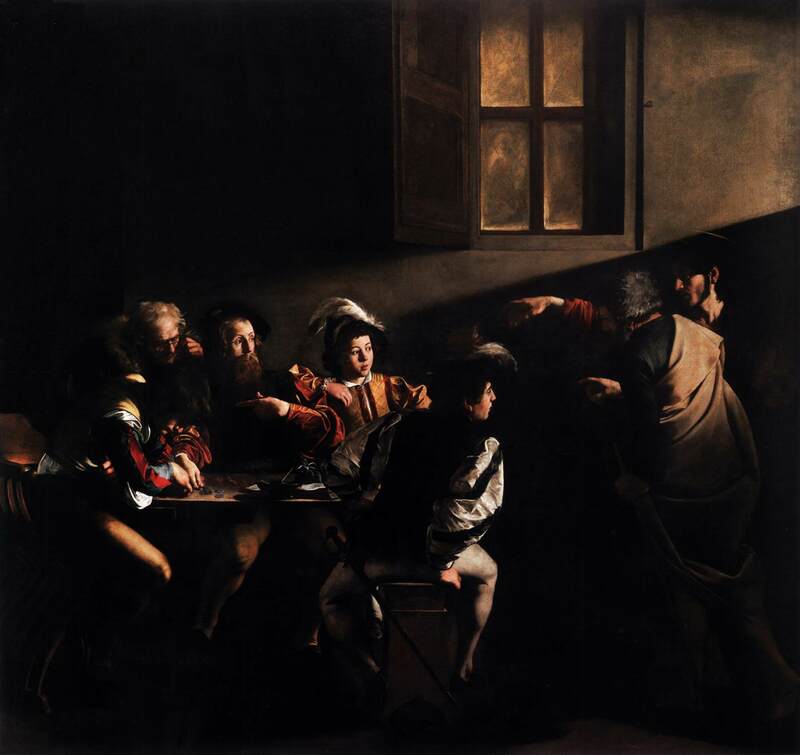 The story takes place in a Custom house and Caravaggio skillfully illuminates the hand of Christ and the surprise on the face of St. Matthew. Yet what is going on in the shadows, is equally illuminating. Jesus himself is hard to see, only his hand is illuminated. Most of the people surrounding St. Matthew are in darkness simply going about their business oblivious to the drama going on in front of them. Caravaggio was known for his use of chiaroscuro, (light and shadow), for dramatic affect. Whether you are a religious person or not, this painting tells a universal story. Of those moments, really seconds in time, when we feel truly touched by something outside ourselves calling us to change. We often are not even truly aware of what this is and those around us are usually completely unaware of what is happening. These moments are astonishing but essentially private and inexplicable. Yet, if you let them, they can change your life. 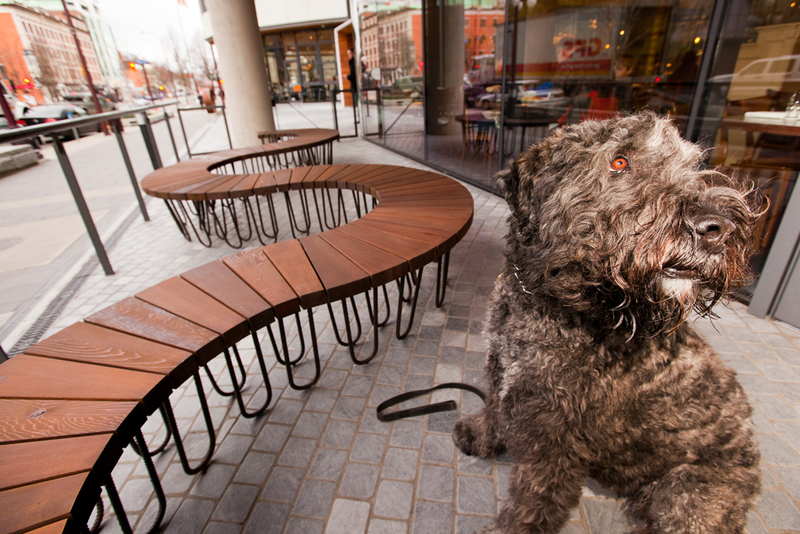 I am a Sommelier at Zambris Restaurant in Victoria and the co-owner of Victoria Wood Studio, a business that specializes in designs for the out of doors. I am passionate about quality wine, beautiful furniture. interesting architecture and art.